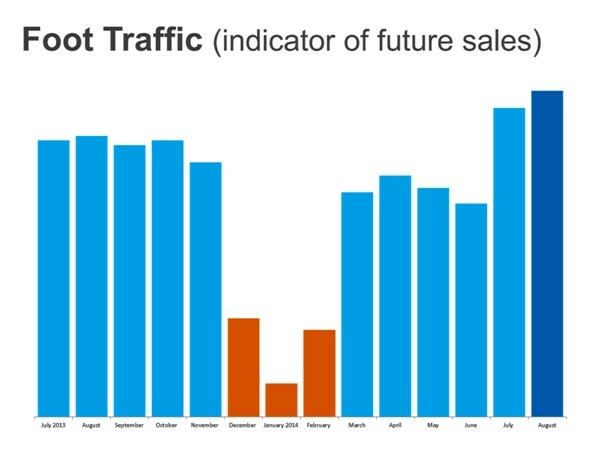 Among all the market indicators we analyze, occasionally we take a look at foot traffic -‐ how many people actually are out there looking for houses. The Market is still strong, though not as strong as it was last July and August. We don’t have as many distressed properties for people to look at, but we are strong compared to what it was December, January, and February. The reason those bars are red means that the foot traffic, the amount of people going out to take a look at a house, was relatively low. We had all sorts of weather conditions in many parts of the Country at that period of time. Since then, we’ve been relatively strong. We expect over the next couple of months that those bars will go over to dark blue. We believe that we will have a more active Fall market because there is more and more evidence coming out that there are people on the sidelines, people who have not been going ahead and fulfilling their dreams. The time is right for them to act now. And the financial indicators say that they can. “It is not that … potential home buyers aren’t qualified in terms of their credit scores or in how much they have saved for their down payment. 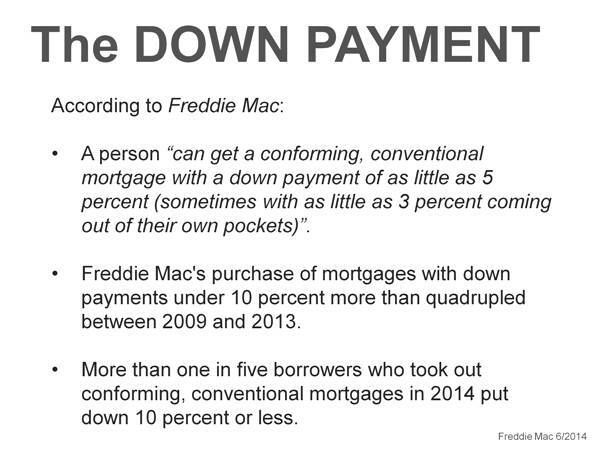 It is that they think they’re not qualified or they think that they don’t have enough down payment,” says Housing Wire.